Scarlett Ingrid Johansson is an American actress and singer. She is the world's highest-paid actress, has made multiple appearances in the Forbes Celebrity 100, and has a star on the Hollywood Walk of Fame. 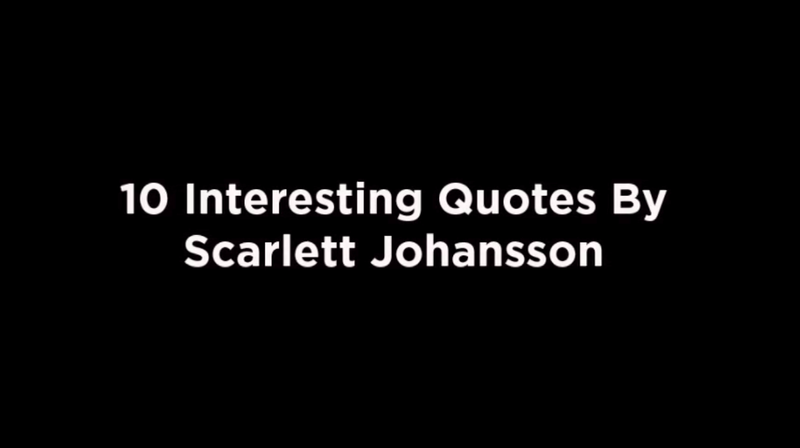 10 Interesting quotes by Scarlett Johansson that give us major life lessons.